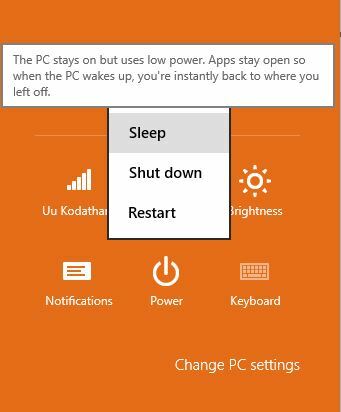 Have you ever wondered whether you can wake up your PC automatically without actually pressing the power button? 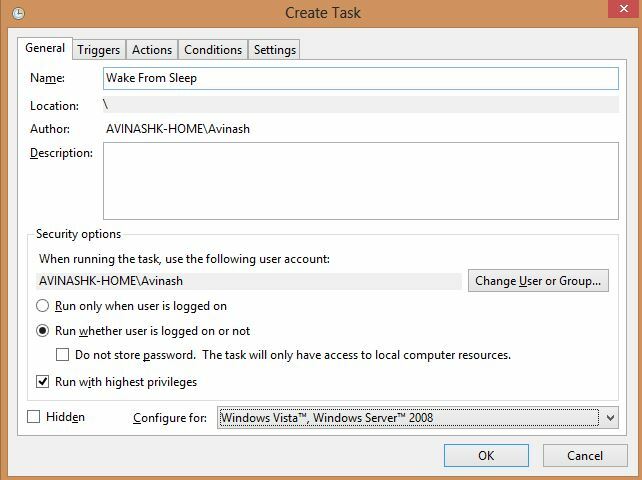 This can be useful in scenarios where you want to perform heavy downloads in off-peak hours or other similar actions before you wake up in the morning, without running your computer all the night! Step 3: Name the task as shown below or any other desired name. I prefer to select other options to run this task whether the user is logged in or not and run with higher privileges. 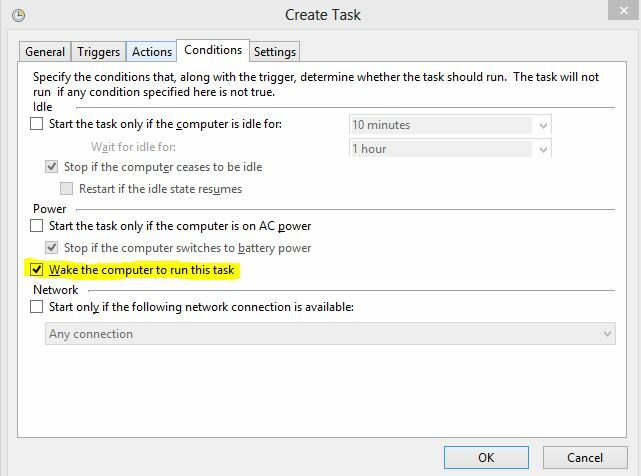 Step 5: Click the Conditions tab, and check ‘Wake the computer to run this task’. Finally, save your task and close it. 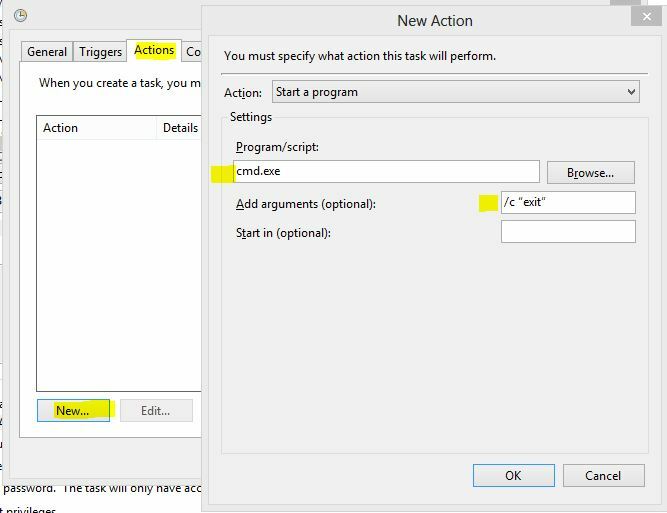 If you want to disable this whole thing, just delete the above created task by right clicking on it, of course from Task Scheduler. 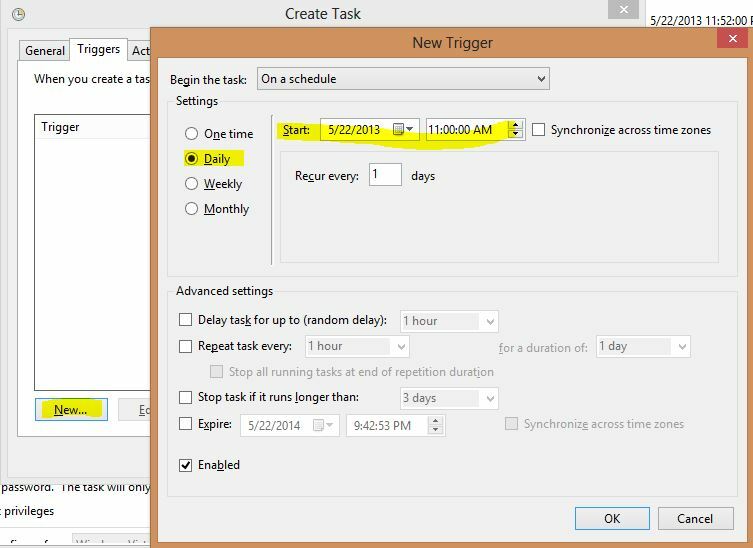 From next time, your PC will wake up automatically at your desired time. Now, this procedure will work only if you put your computer in sleep mode. 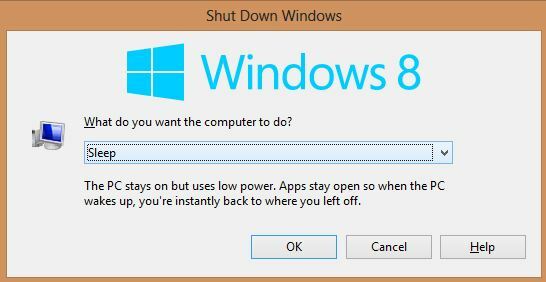 That is , the computer won’t wake up if it’s shut down completely. You can also change power options from Control Panel to have PC automatically sleep after it hasn’t been used for a while or when you press specific buttons. 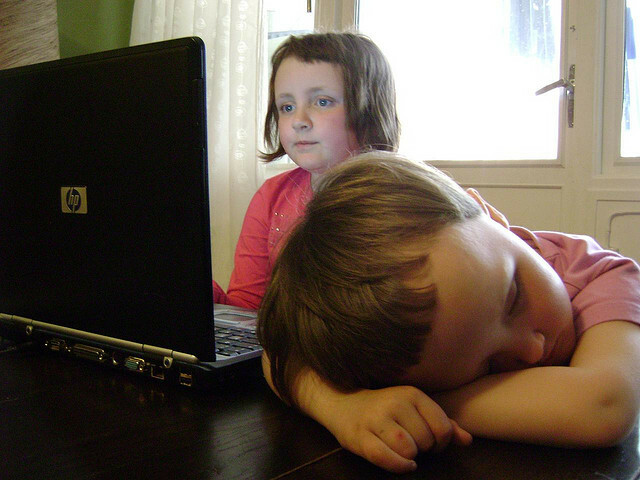 The following are some of the screenshots to put your computer sleep instead of normal shutdown. Wake On LAN is another method you can use to wake computers, but it works only over the network.